Home » Altcoins » Bitcoin Rhodium (BTR) – Is there a rhodium fever on the horizon? Bitcoin Rhodium (BTR) – Is there a rhodium fever on the horizon? How Does Bitcoin Rhodium BTR Work? Bitcoin Rhodium (BTR) is the latest cryptocurrency that has recently been filling the airways, more literally than figuratively. Bitcoin Rhodium (BTR) is a community-based crypto commodity, rare, limited and resistant cryptocurrency designed to store value for the future. Its designers’ goal is to provide not just a payment method, but a real, valuable commodity, which will become a prosperous investment element. Its name stems from the metal rhodium which is a natural element that is incredibly rare. According to the creators of the currency, this metal is so rare that it’s more precious than other metals like silver, platinum or gold. 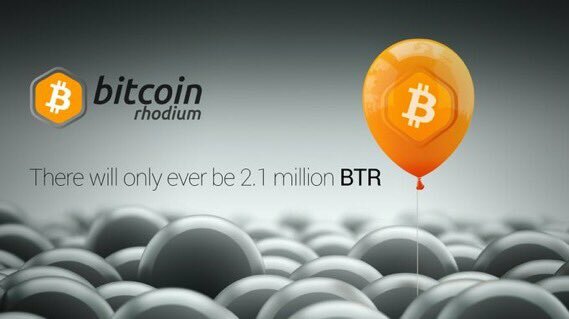 While BTR’s “legacy” currency, Bitcoin, will ultimately have 21 million tokens, Bitcoin Rhodium developers plan to have a total supply of only 2.1 million BTR tokens. Clearly the team have adopted the rarity moniker completely as this will be one of the lowest coin supplies ever offered on the crypto market. 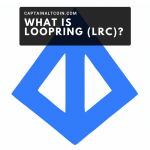 This cryptocurrency will (just like Bitcoin) utilize a proof-of-work algorithm for block creation, meaning that it will be mineable through the process of solving complicated mathematical equations. 40% of the total token supply will be handed out to users via airdrops planned by the company, while 10% will stay-in-company and will be used to fund development and marketing. This means that the remaining 50% of the supply will be mineable. While some cryptocurrencies, namely hard forks of the Bitcoin blockchain such as Bitcoin Cash and Bitcoin Gold, utilized the system of awarding Bitcoin holders who control their own private keys with proportionate amounts of the forked currency on launch, other cryptos launched ICOs to gain initial spread of their coin. Bitcoin Rhodium decided to do neither of these. Instead, users were asked to sign up for an initial airdrop by registering their BTC address on the Bitcoin Rhodium website. This first airdrop registration ran from December 13th to 25th of 2017 and was completed successfully. 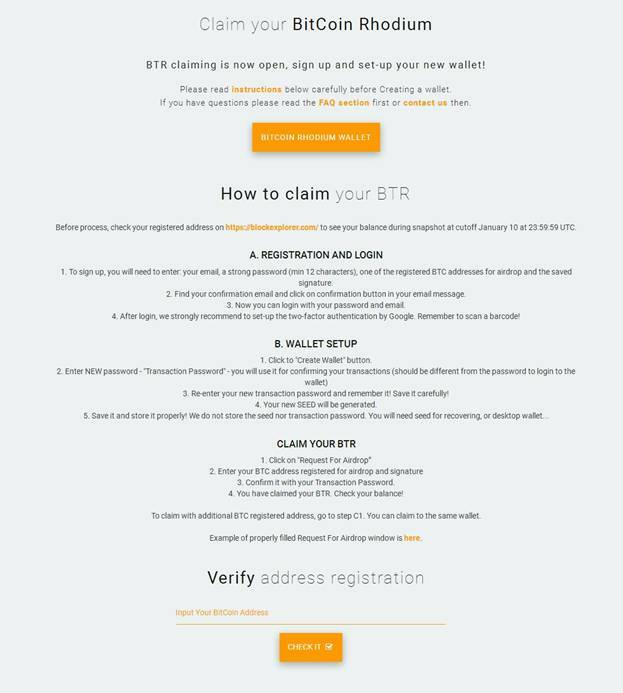 The reward for signing up during this initial airdrop was 5 BTR (with first 100 signed up addresses getting extra 100 BTR). All the Bitcoin addresses registered before midnight of December 25th were airdropped their share of BTR on January 18th. A second airdrop was concluded shortly after with a snapshot of all the BTC addresses registered on the website that was made on January 10th. Anyone who had any BTC on their wallet at the time of the snapshot was eligible to be a part of the second airdrop. Every address that was registered during the first airdrop was registered automatically for the second one IF it had a non-zero BTC balance during the snapshot on Jan 10. During this airdrop, each signee would receive 10x as much BTR as his total BTC holdings during the snapshot were. Currently the team is in the process of handing out second airdrop coins to users, with people being required to download the BTR wallet (its web version to be precise) to complete the process. Also each user needs to have their BTC address signed through a wallet which provides the signing services. The entire process is a bit complicated, but hey it’s free money! Their website claims how over 20 000+ addresses signed up for these airdrops. However, some registered addresses will not be airdropped due to a post-initial-airdrop embargo of 5 addresses per single IP, which was set after some IP’s signed up with over 400 BTC addresses each. This embargo was lifted for the second airdrop and multiple signatures were allowed. Due to the 840 000 BTR limit on the total airdrop supply, 786 registered addresses will not be airdropped. The idea is that these BRT tokens will act both as a cryptocurrency and as a real commodity. It will supposedly be used for payments, value storage and will have real tangible backing in a supply of rhodium-made products. BTR website states that starting from the third quarter of 2018, precious metals like rhodium will be available for sale using the BRT tokens. Apparently the company plans to start selling real rhodium plates as well as lighters, coins and such. However, it seems unusual that you can get Bitcoin Rhodium for free (through an airdrop) today and then trade it for a highly valuable rare metal in the future. It remains to be seen how (and if) they plan on delivering on this promise. Bitcoin Rhodium apparently isn’t a Bitcoin hard fork, as the developers are using C# to build the currency from the ground up. It will use the Equihash Proof of Work algorithms and be mineable by a GPU. The block size will be 4MB with a new block being mined every 10 minutes. Finally, the mining difficulty will be adjusted every 2 weeks. Some technical information about Bitcoin Rhodium: its block size will be 4MB and the block interval is 10 minutes. The difficulty adjustment will be every 2 weeks. So far, not much is known about Bitcoin Rhodium. The dev team is unknown as well as the people that are in charge of the company. The project has no white paper available, even though their website contains a roadmap with goals for 2018. The roadmap goals are honestly somewhat vague and generalized, with block explorer, mining, exchange support and a gitlab suppository all planned to come out during the Q1. 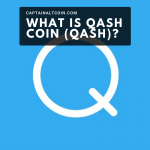 Q2 and 3 will supposedly bring some more concrete movement, with a node network launch and announcements of partnerships with rhodium producing companies. At this time we know nothing about how and if BTR token holders will be able to purchase real rhodium. Bitcoin Rhodium is said to be built by an open source community. The website of the company links to social media accounts of the company which don’t offer much information about the people behind the project, or the project in general. While the team is very active on social media, most of it is them retweeting crypto news or posts from their users. Overall, the website and announcement threads have featured minimal information about the future goals of the project. They opted to use Bitcoin’s name while seemingly not having any kind of relation with Bitcoin whatsoever. After all, we have seen a fair share of start-ups putting bitcoin or blockchain in their name just as a way of gaining popularity. Because of all this, I wouldn’t recommend making any direct investment into Bitcoin Rhodium. If you are getting their tokens for free that’s fine; however avoid giving away real value for this currency until more concrete information is known about the project.